Network and data security is essential to operating today's modern data center - but creating your security plan is impossible without knowing your vulnerabilities. That's why Datalink Networks offers Security Assessment services. Our team will conduct a vulnerability scan of a single Local Area Network and produce an executive report describing key recommendations that will increase your security and lower your organization's risk. The Computer Security Report Card assesses individual computers at a high level based on various security criteria. Devices discovered on the network are assigned an overall score, as well as a specific score for each of the assessment categories . This executive-level report includes a proprietary Security Risk Score along with summary charts, graphs and an explanation of the risks found in the security scans. A detailed review of the security policies that are in place on both a domain wide and local machine basis. Comprehensive lists of all network “shares” by computer, detailing which users and groups have access to which devices and files, and what level of access they have. Share Permission by User Report organizes permissions by user, showing all shared computers and files to which they have access. Highlights deviation from industry standards compared to outbound port and protocol accessibility, lists available wireless networks as part of a wireless security survey, and provides information on Internet content accessibility. Personally identifiable customer information on computers leaves your business open to liability. 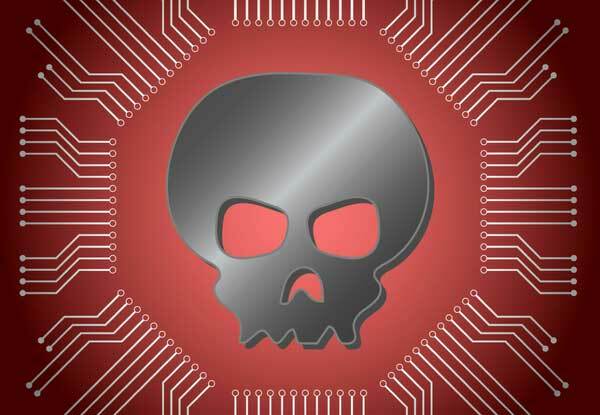 This report is designed to expose just how vulnerable your organization is, by identifying specific and detailed instances of personal identifiable information (PII) throughout your computer network that could be the target of hackers and malicious insiders but also calculates the potential monetary liability based upon industry published research. The Management Plan is a guide to going forward, by ranking and prioritizing individual issues based upon their potential risk to your network. Fixing issues with lower Risk Scores will not lower the global Risk Score, but will reduce the Overall Issue Score. 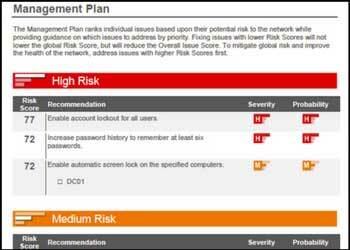 To mitigate global risk and improve the health of the network, address issues with higher Risk Scores first.